For over thirty years, Dr. Virga has been a distinguished practitioner and leader in veterinary medicine, recognized for his insights into our relationships with animals. His expertise spans the animal kingdom encompassing all wild species from polar bears and leopards to gorillas and giraffes. 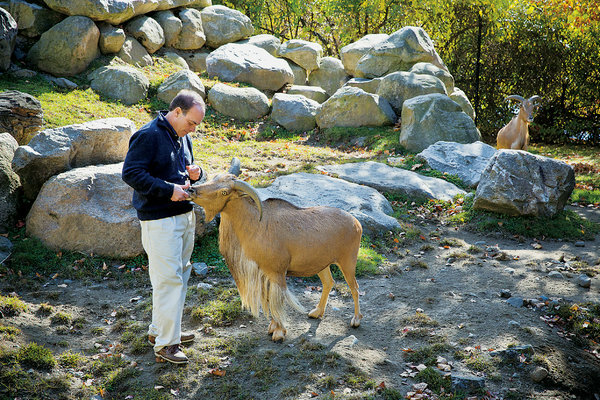 As a veterinarian specialized in wild animal behavior, Dr. Virga works as an advisor on wildlife conservation and welfare for nature preserves and refuges; zoological parks and gardens; animal stewardship foundations; and governmental agencies. He teaches internationally as an invited speaker at leading colleges and universities as well as environmental and animal symposia. Outside of clinical practice, he has served as an advisor to leading U.S. corporations and foundations; a veterinary liaison to the U.S. Congress; a climate leader with The Climate Reality Project; and an expert on legal and legislative issues concerning wildlife welfare and conservation. From his intimate work with endangered species, he brings to readers and audiences a wholly unique viewpoint on our relationship with other species and our shared future on this planet. Dr. Virga’s first book, The Soul of All Living Creatures is a winner of the Silver Nautilus Award. As a writer, he posts a blog for Psychology Today and is an invited contributor to literary journals and consumer magazines. He has been profiled in The New York Times and featured on NPR Fresh Air, ABC World News, National Geographic Explorer, and PBS Nature. In recognition of his writing, he has been awarded three MacDowell Fellowships, a Brown Foundation Fellowship, a Kendall Fellowship, as well as literary residencies at Maison Dora Maar, Yaddo, PLAYA, The Bloedel Reserve, and Brush Creek Foundation for the Arts. Dr. Virga received his Doctorate in Veterinary Medicine from the University of California, Davis and completed his clinical residency in behavioral medicine at Cornell University. He is board-certified in veterinary behavior; a Diplomate of the American College of Veterinary Behaviorists; a professional fellow of the American Association of Zoological Veterinarians; and a member of the American Association of Wildlife Veterinarians, Animal Behavior Management Alliance, and International Society of Applied Ethology. Dr. Virga lives in New England with his wife, daughter, golden retriever, and two Norwegian forest cats.